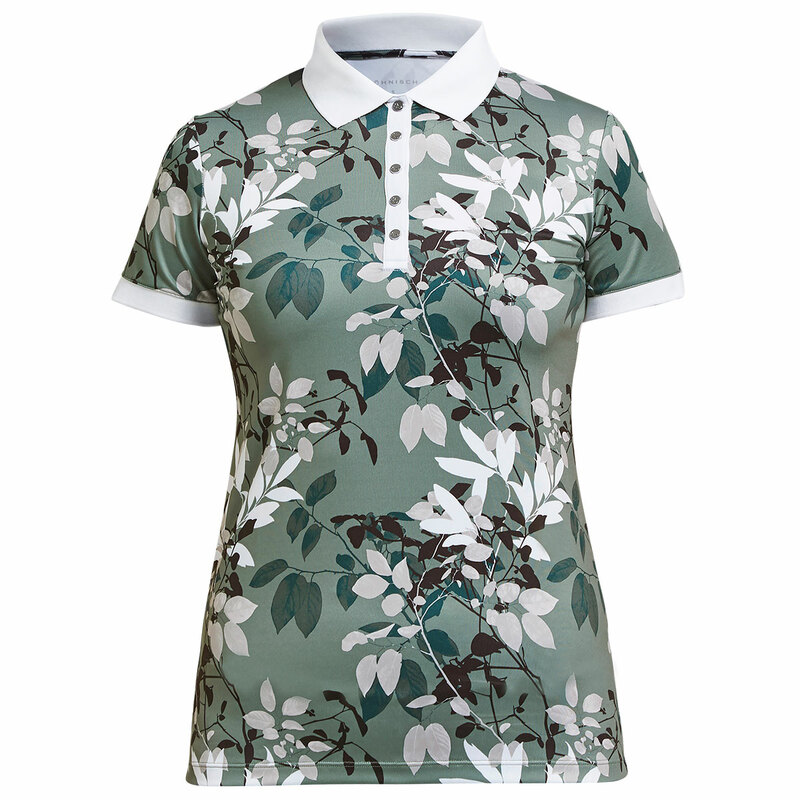 This functional shirt has been designed with recycled material, with beautiful leaf styling and collar which will look stunning as you play golf. 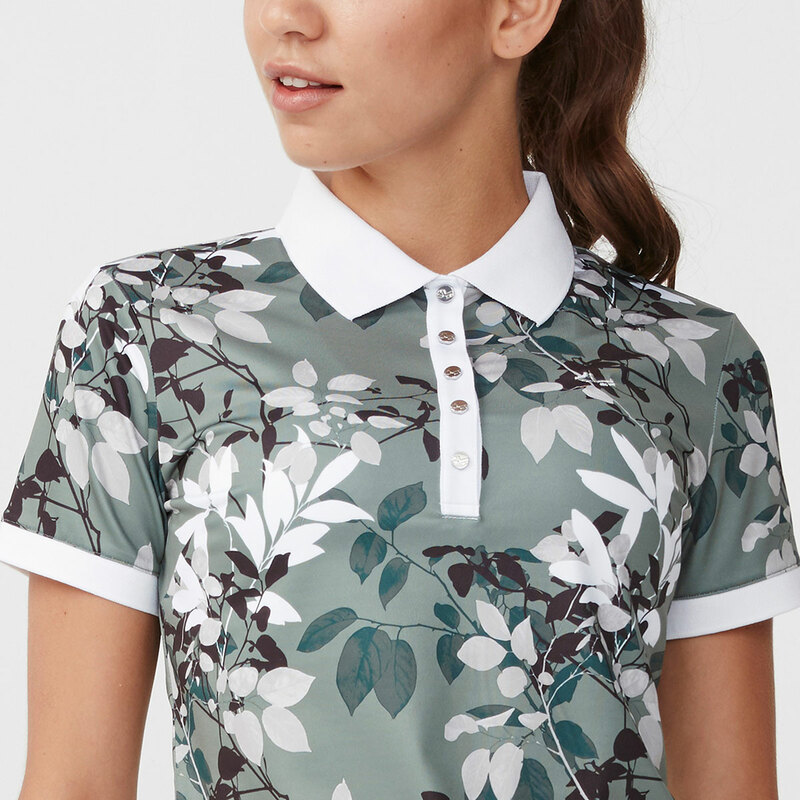 To assist in your performance the shirt has a 4-way stretch and normal fitting to ensure you have the ability to swing freely in all directions. 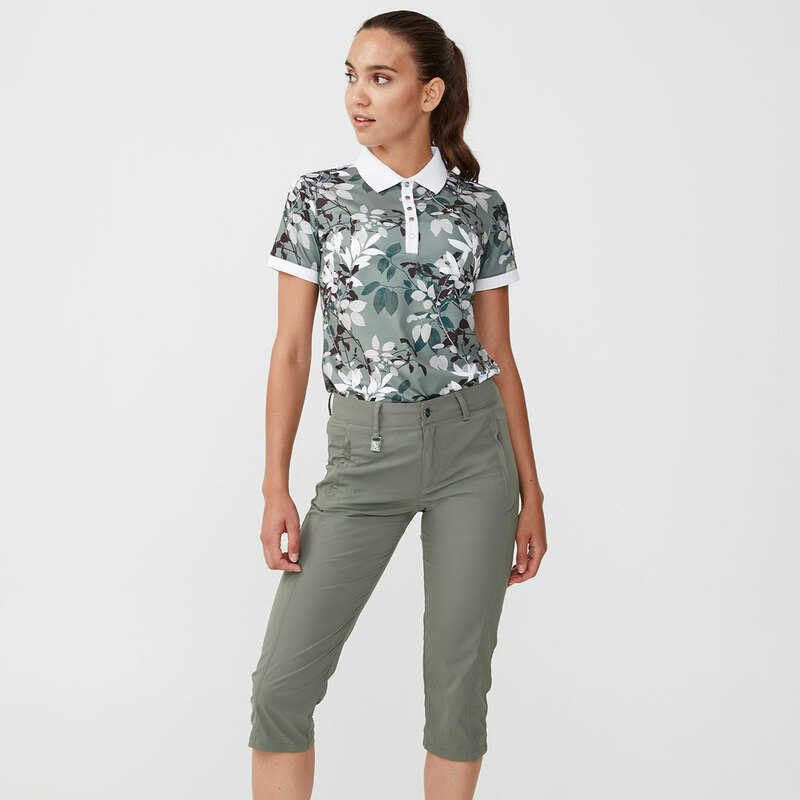 The material is moisture-wicking and breathable which will remove any access moisture away from the body, evaporating quickly for fewer distractions during your round of golf.